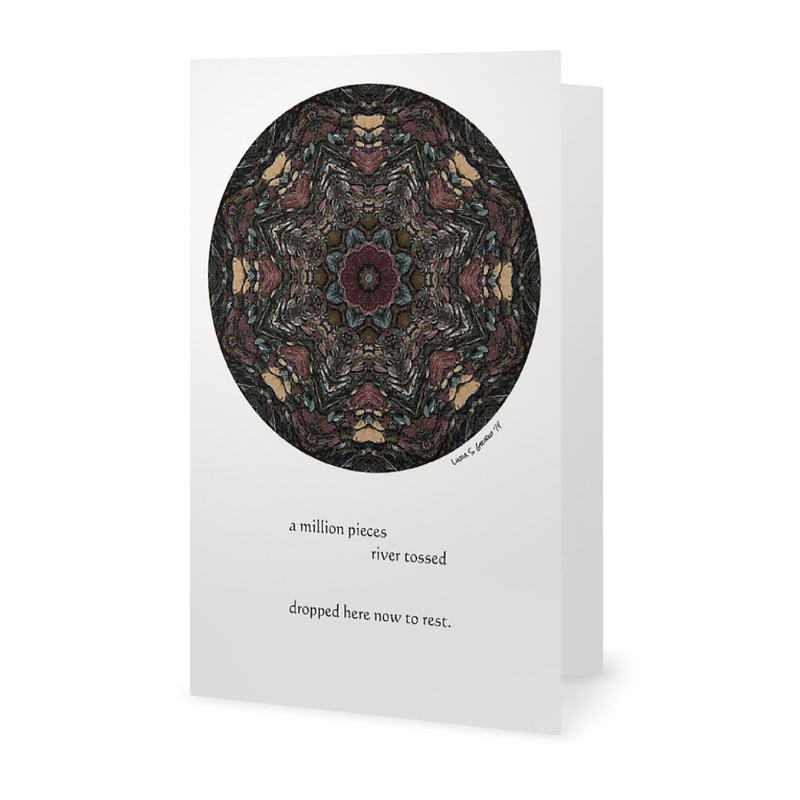 This is a favorite and one of the first pieces I created. 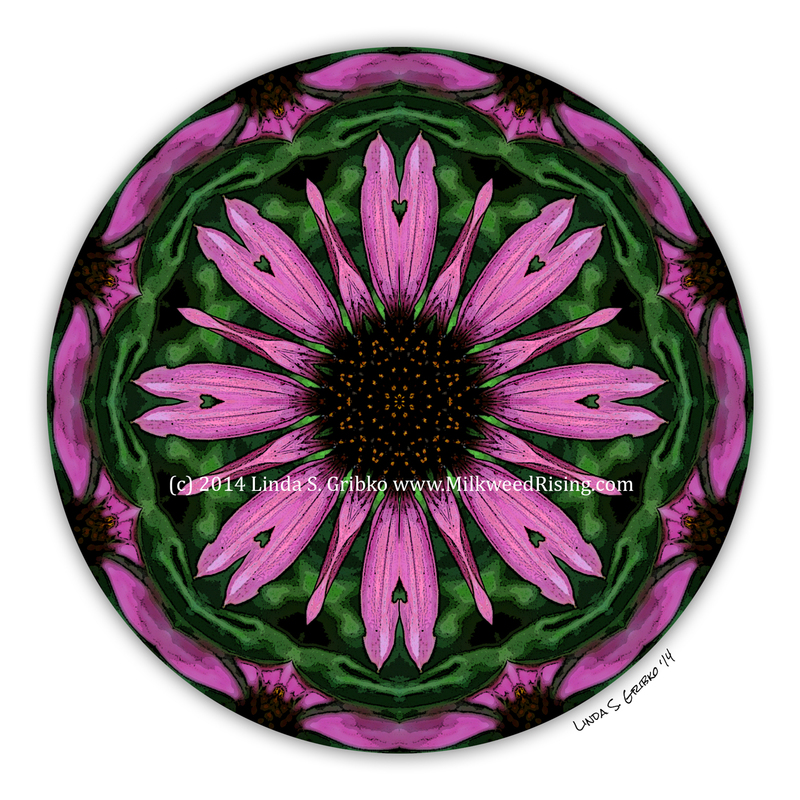 Like Divine Purity, Coneflower of Love is a “reconstructed flower” piece. 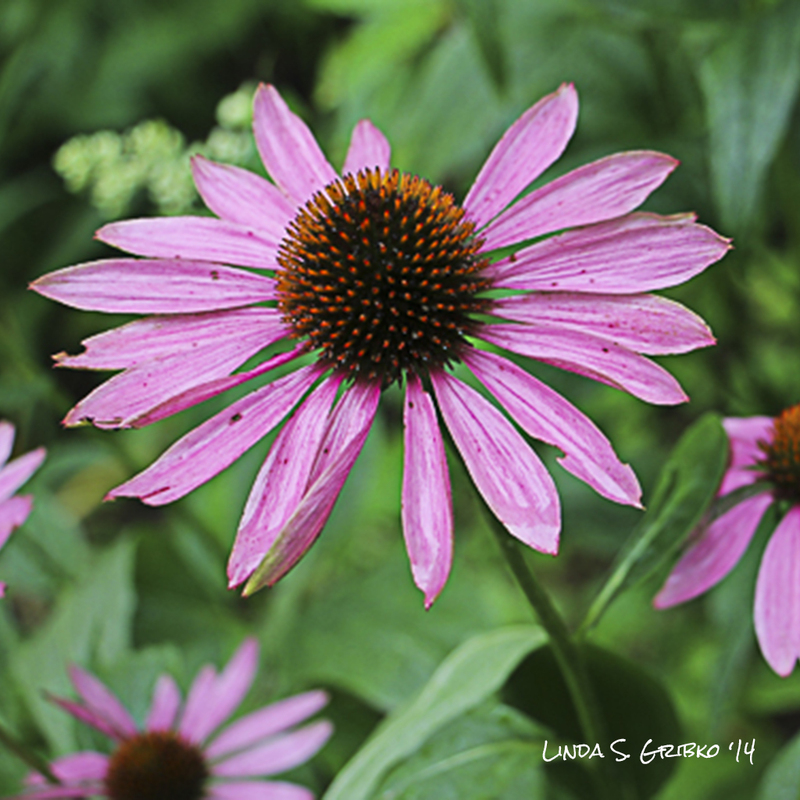 I took a small wedge of the original flower and created something new…a coneflower adorned with a tiny heart, made possible by a busy defoliator who had eaten away a bit of pink petal. The colors are worked here to create a pop art effect, which I’m sure would get the approval of my very 70’s junior high art teacher. On the wall, this piece will give any room a pop of color and a fun hit of vibrancy…a loving, bright hug for your space. 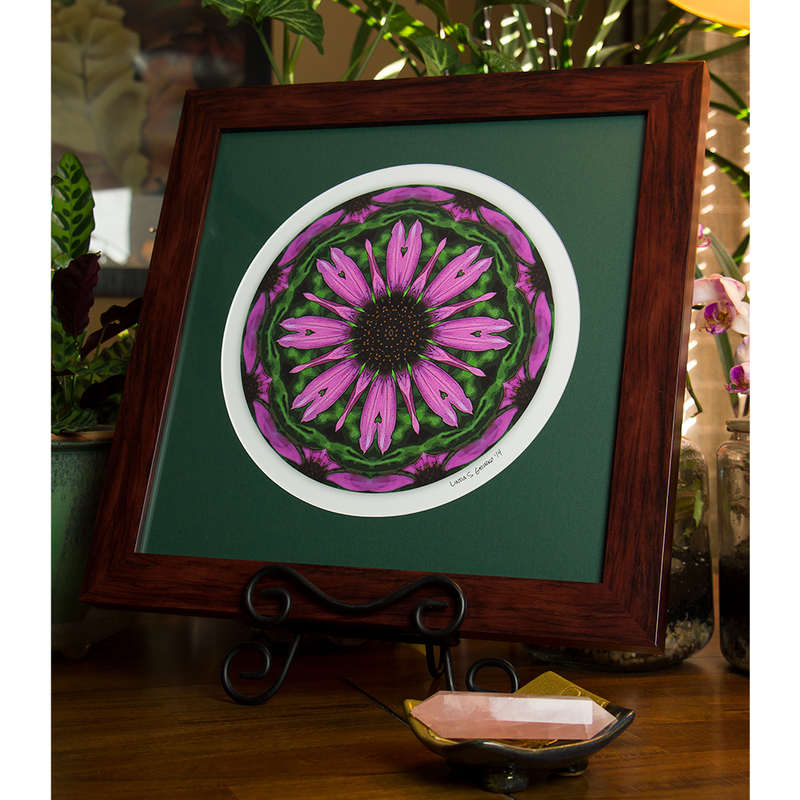 Enjoy this piece as a high-quality 14″ x 14″ giclee print on fine watercolor paper, beautifully prepared in a glossy, mahogany-tone, veneer frame with acid-free, round-cut green mat and UV acrylic glazing. 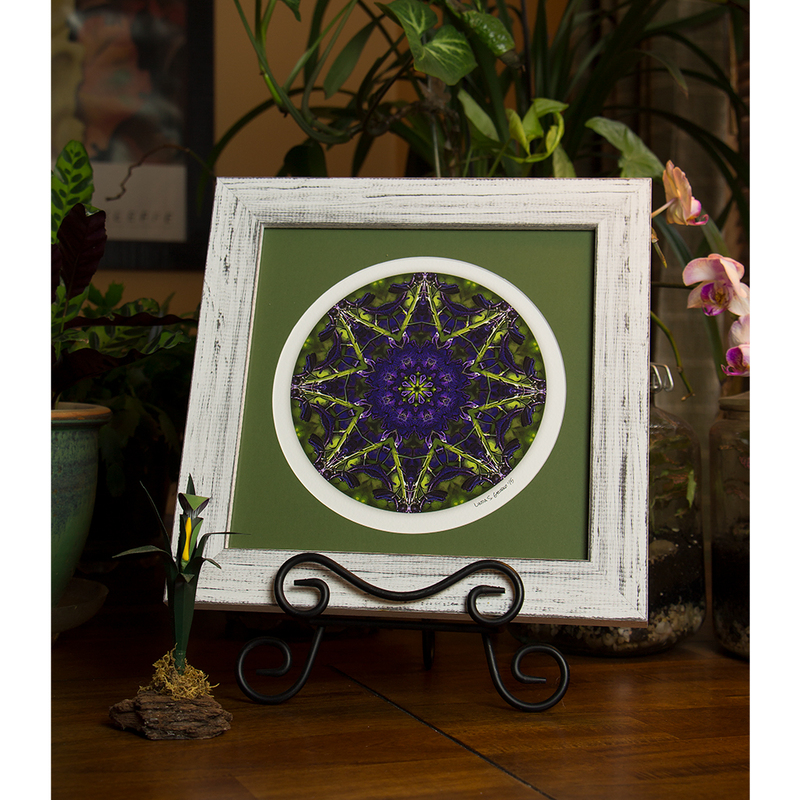 The finished size is approximately 16″ x 16″, including the frame; big enough to allow you to dive in and really enjoy all the fine detail of the mandala. 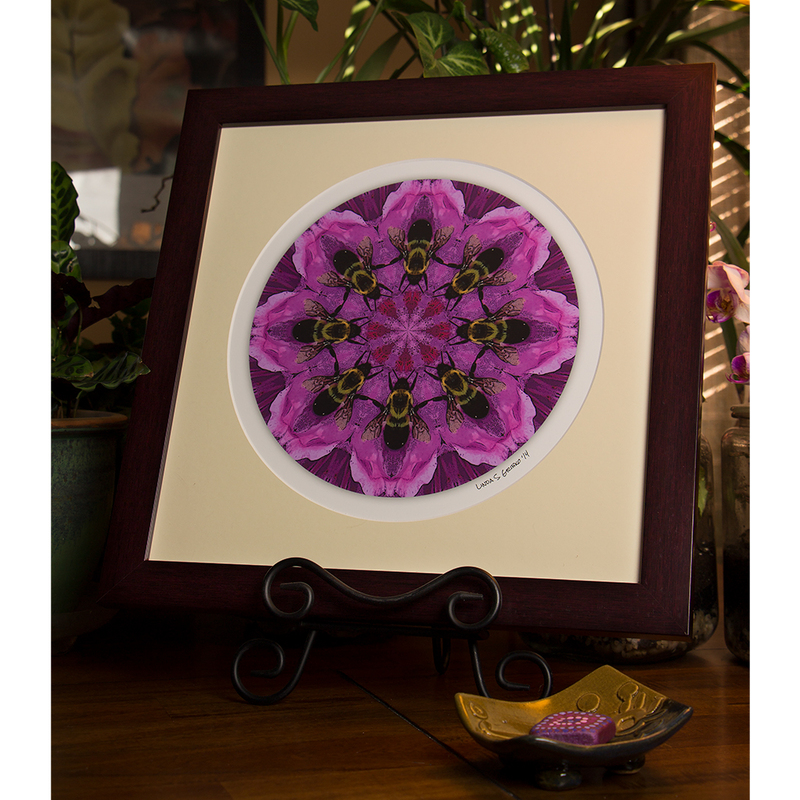 If you plan to use or gift this mandala as a mediation piece, this is the perfect size. A copy of the original photo and the story of the piece are included on the back.